Gary Ewer is a Halifax-born composer/arranger and music teacher. He received his Bachelor of Music degree from Dalhousie University in 1982 then continued Studies at McGill University in their Graduate Composition program, working with Alcides Lanza and John Rea. He returned to Halifax in late 1985 and taught trumpet, theory and history at the Maritime Conservatory of Music. In 1990 he began teaching in the public school system in Halifax. His duties included the conducting of the Halifax Boys Honour Choir, The Halifax Schools Symphony Orchestra, and Soundtrax (Halifax’s honour choir for high school students). In 2003 Gary became a full-time instructor at Dalhousie University, teaching aural perception and music theory. During this time, he was the conductor of Dalhousie Coro Collegium and the Dalhousie Chamber Choir. As a composer, Gary has written for a variety of professional ensembles, and his music has been commissioned and performed by various groups and concert series, including CBC Choral Concert, Symphony Nova Scotia, Rhapsody Quintet, the Elmer Isler Singers, and the High Cs Festival. He is also the author of “Gary Ewer’s Easy Music Theory”, a CD-ROM course in music rudiments. Workshop leader and Mezzo-Soprano Christianne Rushton is Assistant Professor at Acadia University where she is head of vocal studies. Christianne is a first prize winner of the Canadian Music Festival, a second prize winner of the prestigious Eckhardt-Gramatte Competition, a two-time grant recipient from the Canada Council for the Performing Arts and a winner of the Bernard Diamant Prize in Voice. Christianne has performed with Symphony Nova Scotia, the Newfoundland Symphony Orchestra, toured with Debut Atlantic, sung at the Indian River Festival, and performed in New York’s Alice Tully Hall. 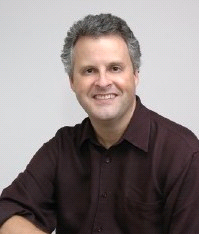 Dr. Rushton is a graduate of Acadia University (BMus), Manhattan School (MMus), The Juilliard School (A. Dip. ), and SUNY StonyBrook (DMA).